Mavis Staples remains a fireball of divinely fueled energy. Don't miss the divine Mavis Staples, as she blesses us with her incredible voice and back catalogue of gospel, soul, R & B, with a little rock thrown in for good measure! One of the most powerful voices in the 'biz, Staples has been making music since the 1960's when she and her family formed the group The Staples Singers. Throughout the decade they became synonymous with the Civil Rights Movement, offering spiritually strong messages through their songs. After going solo, Mavis released her first record with Stax in 1969, but it wasn't until the early 1990's that her full power was realised by the world at large. Several popular albums followed, including a spell under the direction of Prince and his Paisley Park label. In recent years, 76 year old Mavis has shown no signs of slowing down, from reuniting with former collaborator and friend Bob Dylan for a series of shows in 2016, to featuring on Arcade Fire's recent single 'I Give You Power' with all proceeds going to the American Civil Liberties Union. 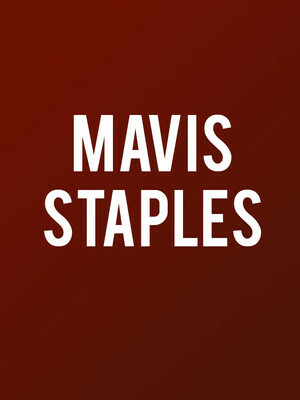 Seen Mavis Staples? Loved it? Hated it? Sound good to you? 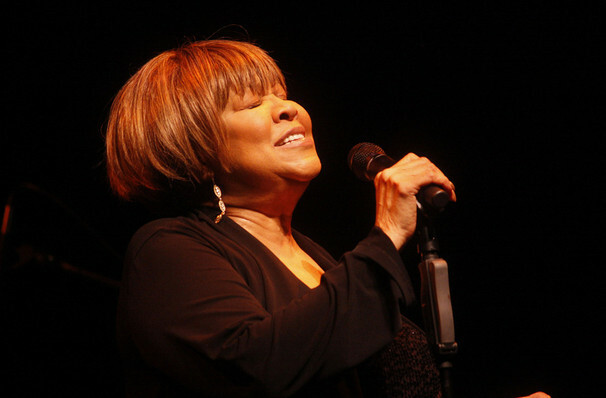 Share this page on social media and let your friends know about Mavis Staples at Ruth Finley Person Theater. Please note: The term Ruth Finley Person Theater and/or Mavis Staples as well as all associated graphics, logos, and/or other trademarks, tradenames or copyrights are the property of the Ruth Finley Person Theater and/or Mavis Staples and are used herein for factual descriptive purposes only. We are in no way associated with or authorized by the Ruth Finley Person Theater and/or Mavis Staples and neither that entity nor any of its affiliates have licensed or endorsed us to sell tickets, goods and or services in conjunction with their events.